Cube dimensions offers a unique size and sound. Fiberglass body with fixed snares on the front and back and a Carubinga finish. 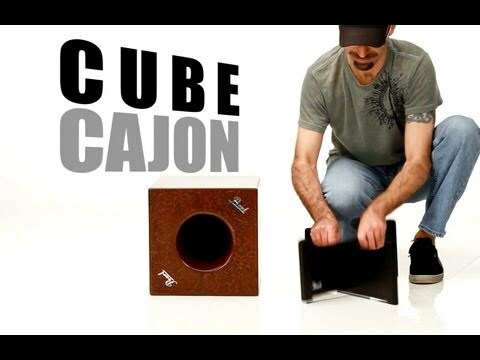 Small in stature, but large in sound, the Cube Cajon is a square 12.5”x12.5” fiberglass cajon which features 5 diverse playing surfaces with one side ported for additional low frequency resonance. 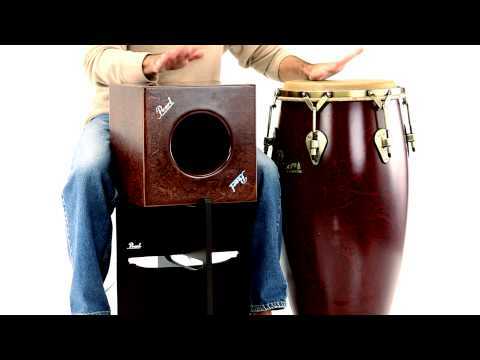 Multiple timbres are achievable via the Cube Cajon’s varying wall thickness. The thinner the wall, the lower the pitch; the thicker the wall, the higher the pitch. Two sides come fixed with inner snare wires to produce a sizzling snare slap. The Cube Cajon comes with a versatile wooden cajon stand, providing 3 different playing heights. Play the cajon on the ground, or put it on the 11.5” lower half of the PCCS-100 Cube Cajon Stand stand to play the cajon at a comfortable sitting level. 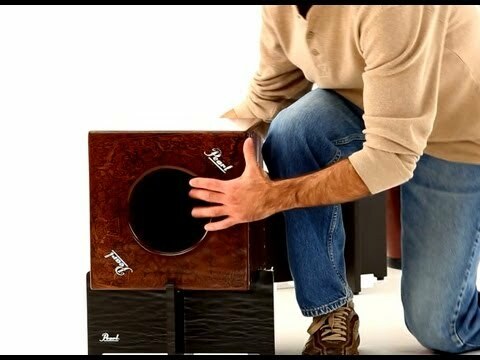 Add the top 7” half of the stand to play the cajon at a relaxed standing height. PCCS-100 Cube Cajon Stand 2-Section Stackable for Low/High Positions.